As a full-service communications agency, we help maritime & offshore companies to stay ahead of the game in a constantly changing world. 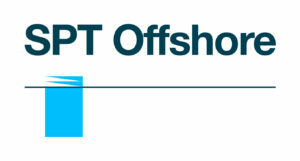 The maritime & offshore industry has invested heavily and successfully in its development. It is powerful, innovative and has a strong position today. However, this is no guarantee for success in the future. The conventional, commercial processes and the role of communications have changed. Today we deal with more digital processes, with a new generation at the helm, with more transparency and wider globalisation. The maritime & offshore industry is characterised by niche markets, complex project teams, technically intensive organizations and long-term purchasing processes. Engineers need to be helped in their quest for innovation. Buyers seeking the most efficient solution. Your decision makers and 54 influencers need the right information at the right moment via the right channel. Dock90 works with both traditional and modern means of communication. This combination ensures a perfect balance between purpose and interaction. 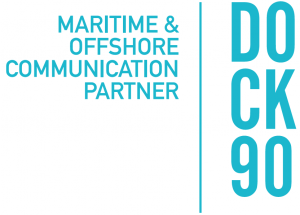 Dock90 is organized as an international agency with exclusive partners across all oceans. With our full service approach there are no restrictions in the execution of your strategy, campaign or production.